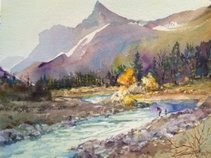 The Montana Watercolor Society’s Western Art Week event is called “MTWS Members Watermedia Art Sale”. All art from 8 Montana artists use the beauty of water based paints—one of the more difficult painting mediums. 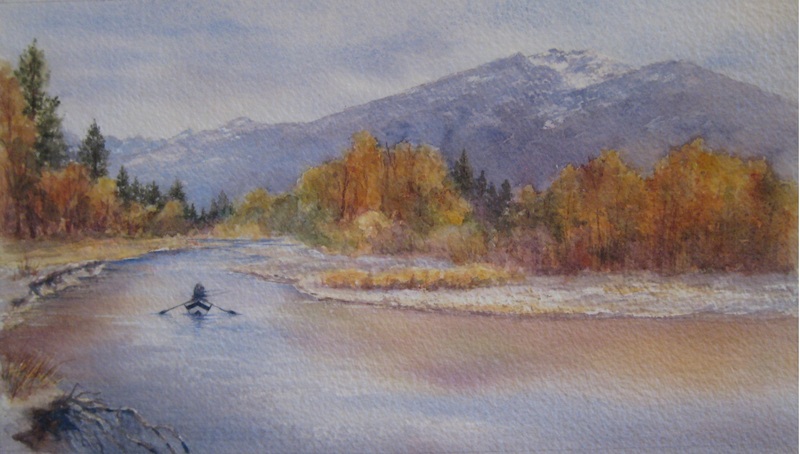 This sale has no fluff, just beautiful art by Montana watercolor artists. 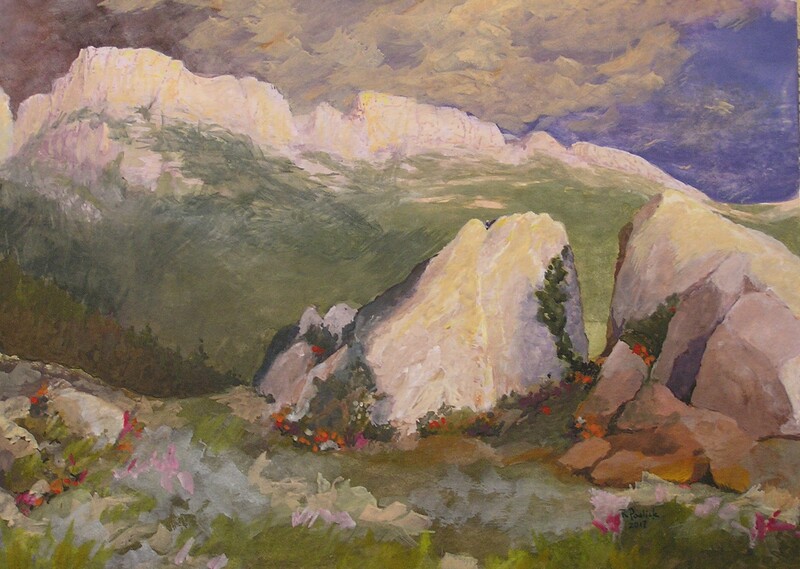 ​MTWS WAW Artists are excited with the opportunity to share their artwork in the new venue. 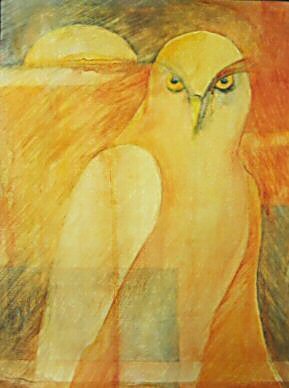 Having no formal training in art it thus has multiple degrees of challenges for the nonprofessional. I accept and love those challenges because each endeavor when completed successfully instills a great deal of satisfaction and desire to move on. 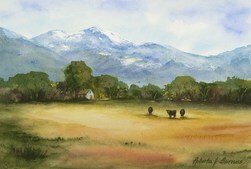 "I have been painting for most of my life and particularly in watercolor, since the early 1970’s. 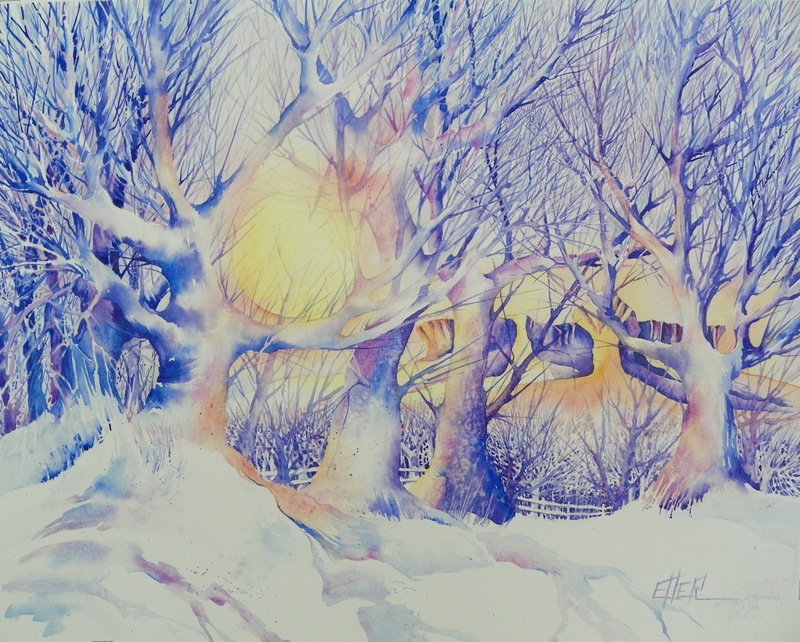 It lends itself to immediacy of changing light and mood. I an drawn to places that evoke a sense of peace and quietness. 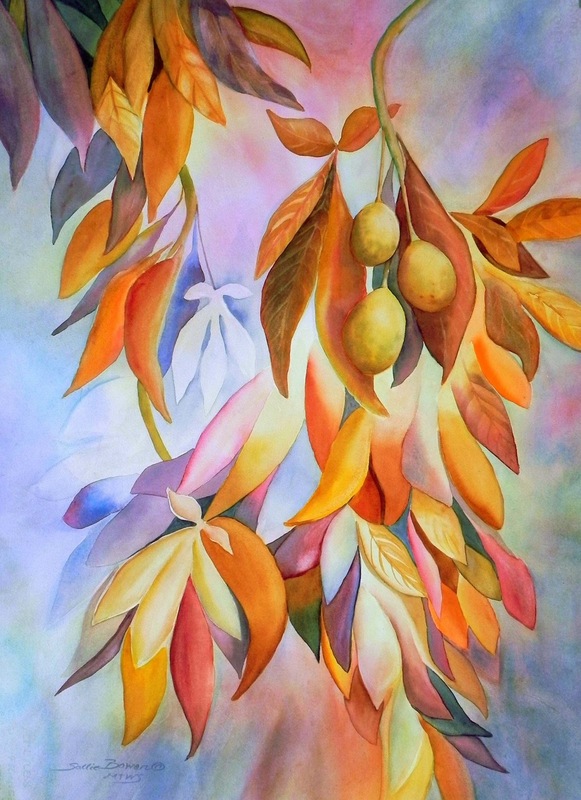 If I have communicated that feeling of serenity in my work, I consider that work a success." 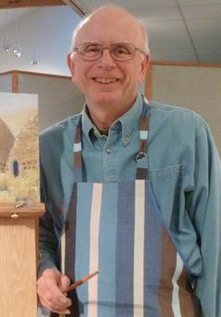 Bowen’s first watercolor instructor was Ben Steele, Professor Emeritus at MSU-Billings, now retired. He was a survivor of the Bataan Death March in the Philippines. 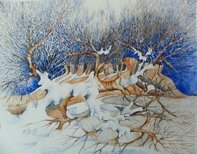 In 1985, she was accepted to study Chinese landscape painting workshop in the People’s Republic of China and spent two months studying Chinese painting, calligraphy and Tai Chi at the Zhejiang Art Academy in Hangzhou with Chinese art professors. By invitation, she painted an Easter egg for the White House Easter Egg Roll in 1986; this wooden egg is now at the Smithsonian Institute. 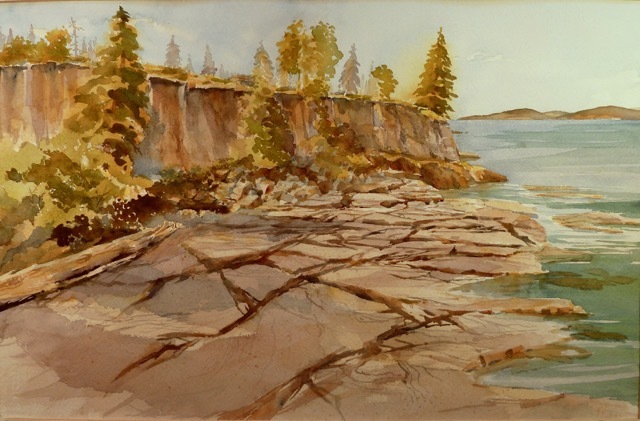 Her watercolor and ink painting, “Prince William Sound”, is the cover of the book “Season of Dead Water” published by Breitenbush in 1990. 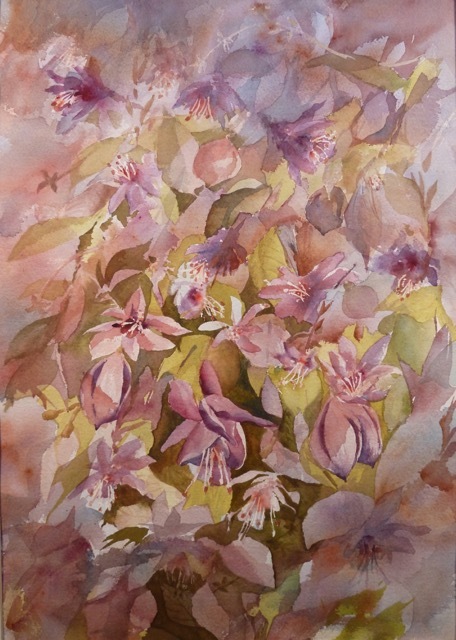 She teaches privately in her studio, combines travel with painting (all over Montana, New Mexico, California, France, Italy, Wales, Greece, Turkey, China, Japan, Israel and Jordan), is a signature member of Montana Watercolor Society, and exhibits nationally in many juried shows in Montana and the U.S.
"I love the experimental and spontaneous nature of watercolor that keeps the artist reacting to the give and take on a fresh piece of watercolor paper. 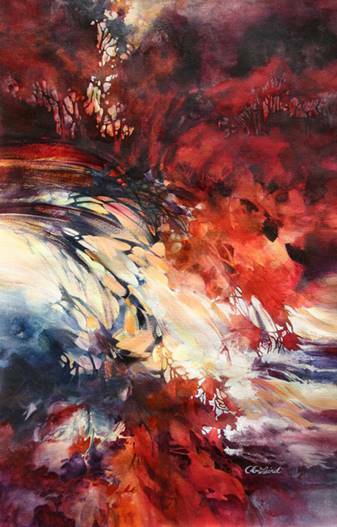 Edges, light, shapes, colors dance about with freedom to the music from my mind, arm, eyes, hand and heart to communicate the joy of that created. Grab a pencil, grab a brush, take a class, get started!" 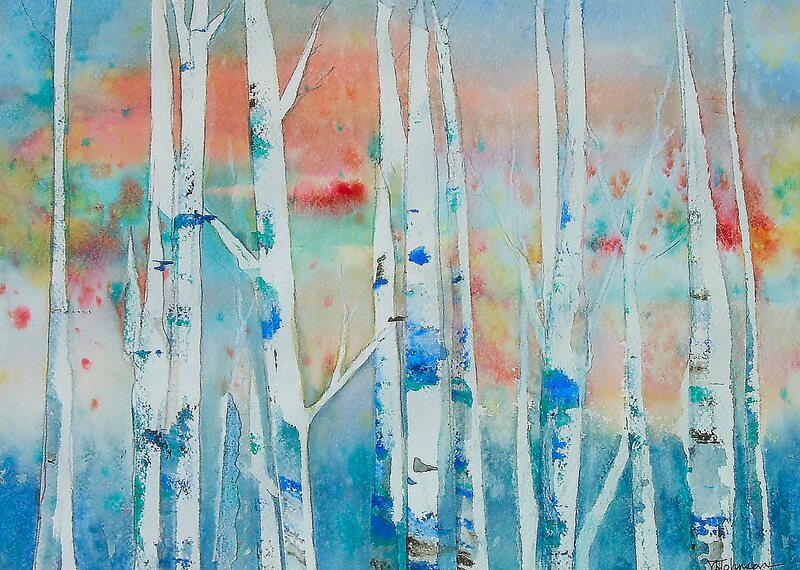 A 40 year transplant from Missouri, Carol Spurgeon fell in love with the watercolor media in her thirties and became well known in Great Falls area for her variety of subjects and approaches. She is a signature member and award winner in Montana’s national show Numerous acceptances and awards in juried shows demonstrate her determination and motivation and love for artistic communication. 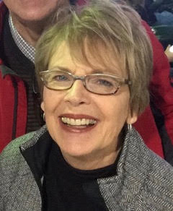 She is a corporate member of Gallery 16. 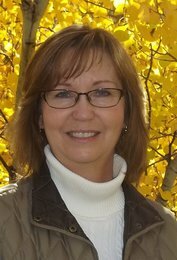 I am proud to be a lifelong Montanan with deep family roots in agriculture. 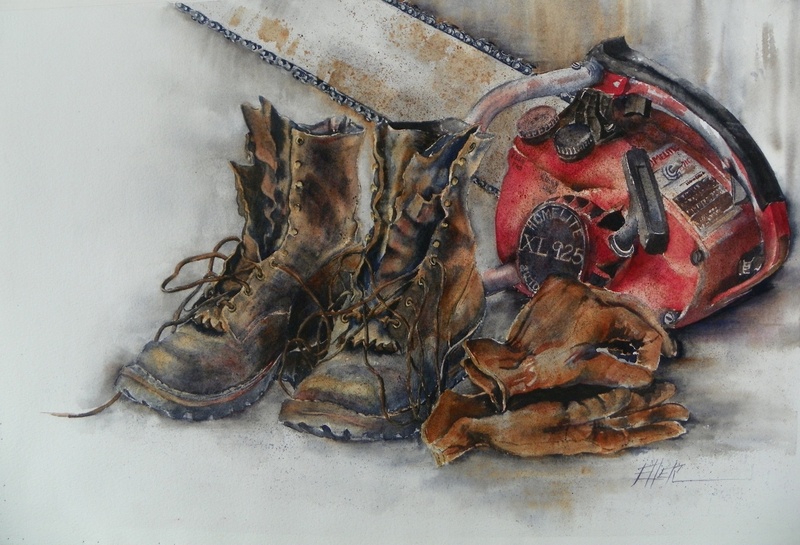 Throughout my career in professional forestry and teaching, I maintained ties to land and livestock even as I set aside time for art. 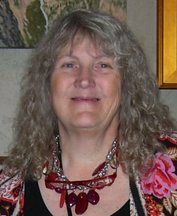 Now retired, I devote all my energy to Prairie Island, which is not only the ranch I share with my husband, Jim. It is also my studio and muse. Nestled within a homestead-era shelter belt on the broad shoulder of Square Butte, Prairie Island provides varied opportunities to celebrate life in Montana, from fulfilling hours in the lambing and calving barns to stunning moments of land and sky grandeur. 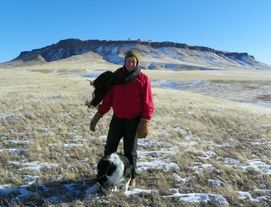 I embrace the challenges and joys of working with land and livestock. The seasonal rhythms of rural life sustain me. When the outdoor chores are done, my studio nurtures inspiration and creative energy. 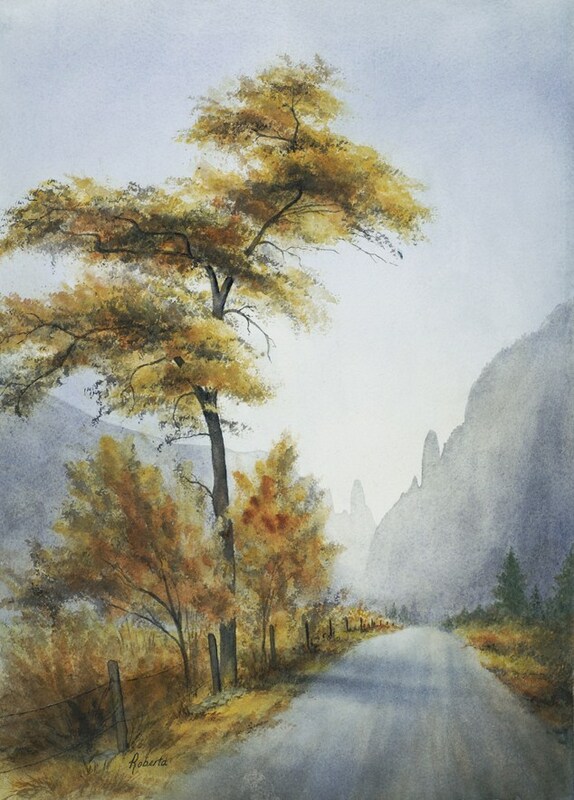 For nearly forty years, watercolors have brought joy to me. 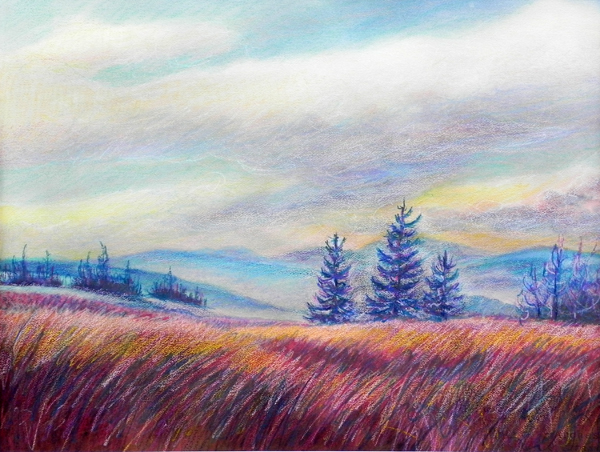 My art explores and celebrates the power of place—the Chinook-blasted grasslands and storm-swept Front Range, the hard-shadowed buttes and towering skyscapes—that mark the seasonal rhythms of central Montana. My paintings also honor the beauty of the commonplace—chainsaws and work boots, machinery and shop tools. 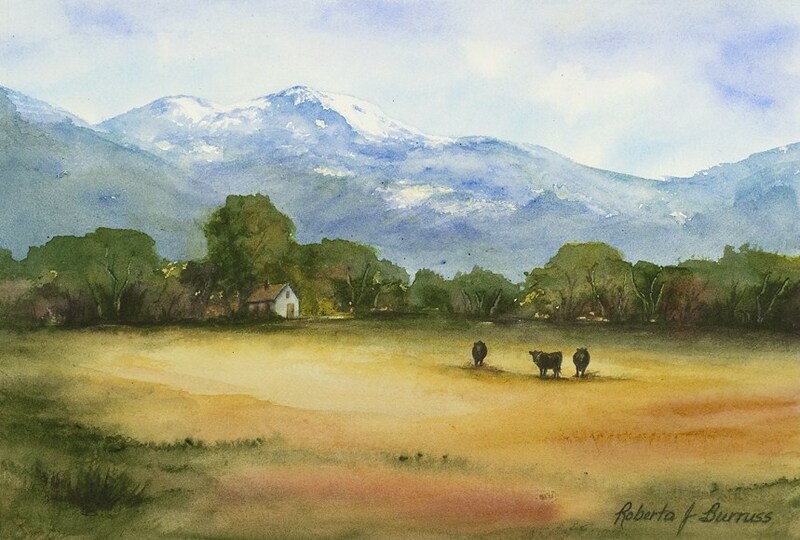 "Translating the elegance of the land into expressive watercolor paintings." deep appreciation for the natural beauty and grace of the land in Western Montana. 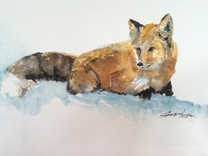 A Signature Member of the Montana Watercolor Society. 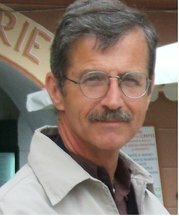 artist, illustrator, advertising agency exec., financial services marketing. Art volunteer: C.M. Russell Auction, community art center board. Hosted and attended painting workshops; invited guest artist. Work shown in galleries, museums, juried shows, auctions and owned in private collections. 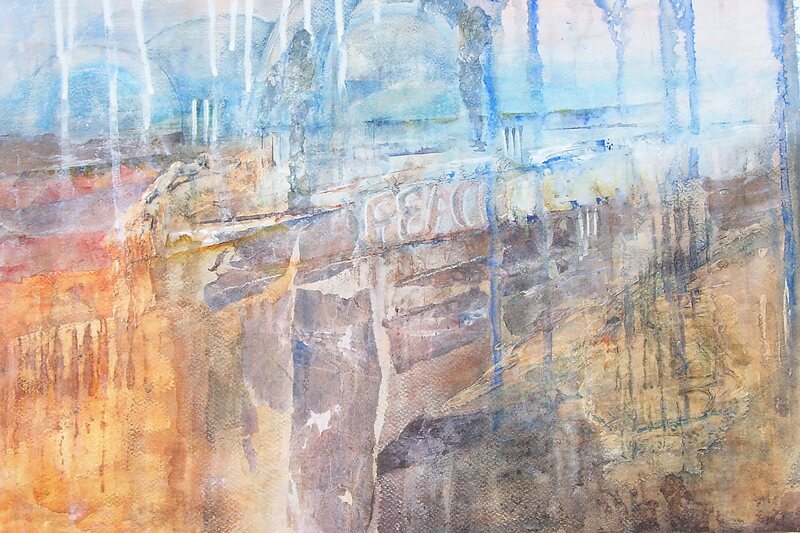 Subject matter favorites: Landscape, architectural, railroad/industrial, floral and organic expressive abstract. 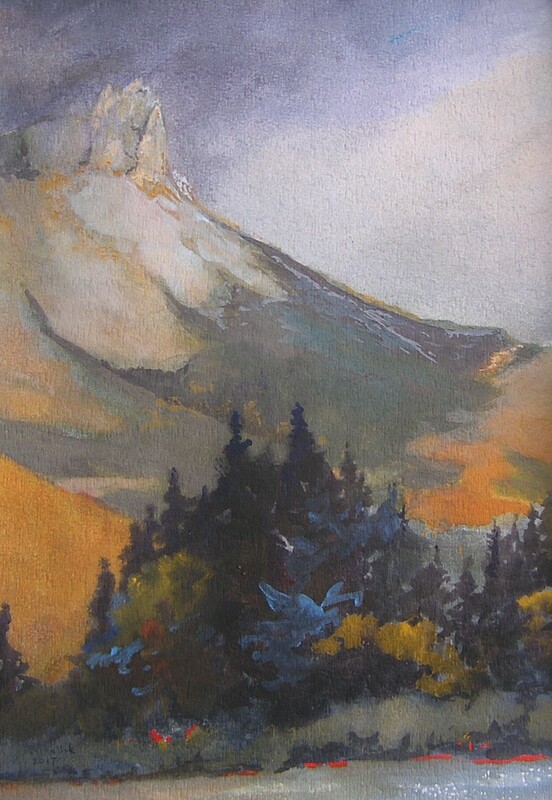 Painting goal: Create engaging images that leave room for the viewer to participate emotionally and visually. 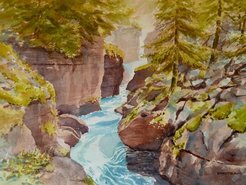 I have been an admirer of watercolor for as long as I can remember but I have evolved into the exciting world of all types of Watermedia. Cutting, ripping, gluing, and embellishing have always been a way of life and now it is the focus of my artwork. Even while creating collages, I continue to paint my papers with various water-media and water-based texture mediums while adding found materials and objects. Creating collaged greeting cards out of unfinished paintings is like creating tiny pieces of art…that you can mail or frame if you chose! 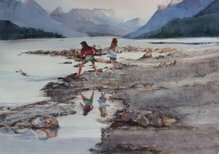 I have been fortunate to paint and study with some of the best artists around through my involvement with the Montana Watercolor Society and hope I can carry on and share the love of art to anyone who will listen! 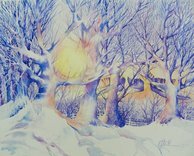 I consider myself a contemporary artist with a love of the beauty and transparency of the medium no matter where it is used! 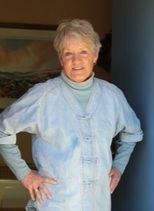 Born and raised in the Bitterroot Valley of western Montana, Shirley and her family have always lived on a farm east of Corvallis. Shirley began painting with oils in 1984 and watercolor in 1995. 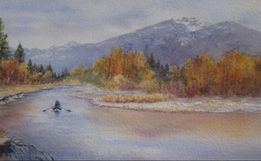 She enjoys plein aire painting along the rivers and in the mountains of the Bitterroot Valley as well as different areas of Montana. She likes to create small paintings. 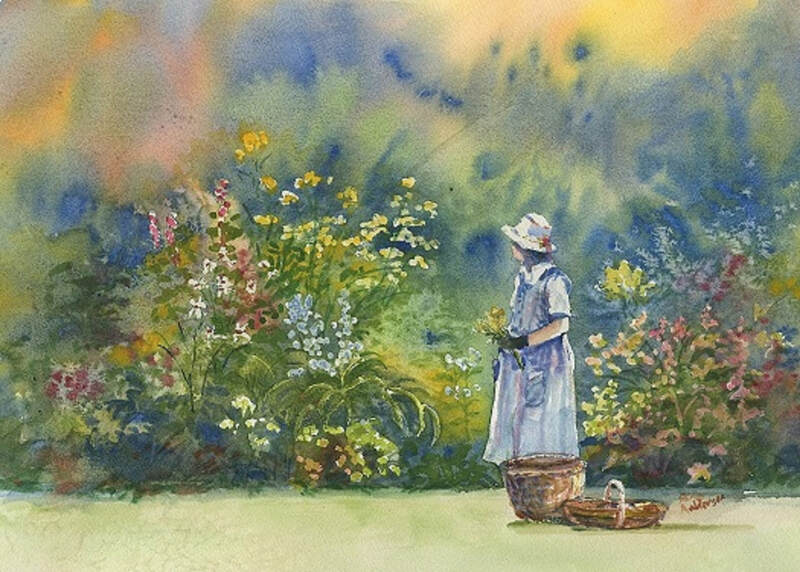 This gives her the ability to capture a moment and a place, a snapshot in time. 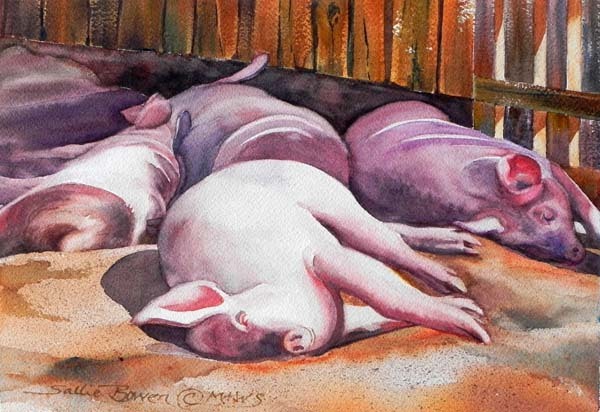 Painting miniatures gives her the liberty to experiment with light, color and compositions. Old homesteads and barns have great interest to Shirley, she says, “I like to imagine the lives of the folks that lived there. 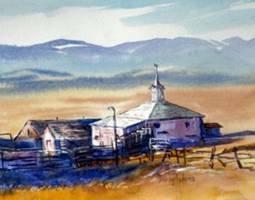 They represent a disappearing heritage of our country’s past.” In the summer of 2010 she had the opportunity to paint at Grant Kohr’s Ranch National Park at Deer Lodge, Montana with the Front Range Art Association.